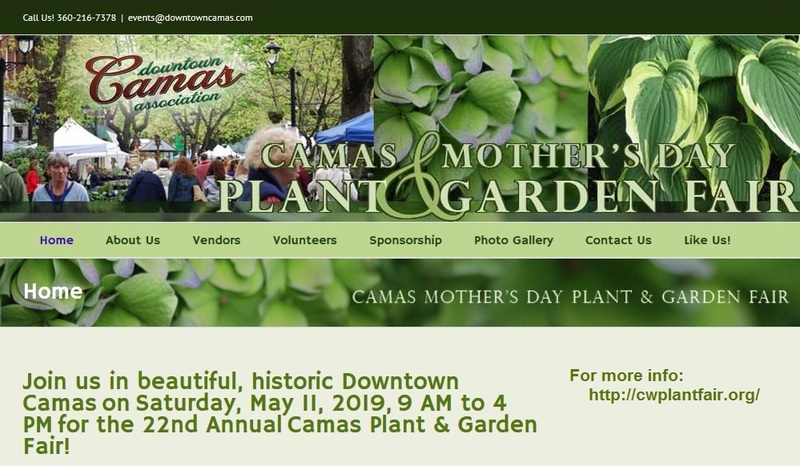 Camas closes part of their downtown streets to all vehicle traffic the day before Mother’s Day for their 22nd annual Plant & Garden Fair! 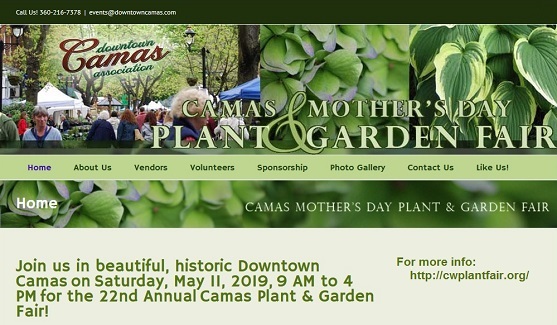 Bring your wagon or cart and explore the vendors and stores – plants, art, furniture, food and fun – MAY 11th, 2019 from 9am – 4pm. Kid and dog friendly. Street parking on the adjacent (unclosed) streets.